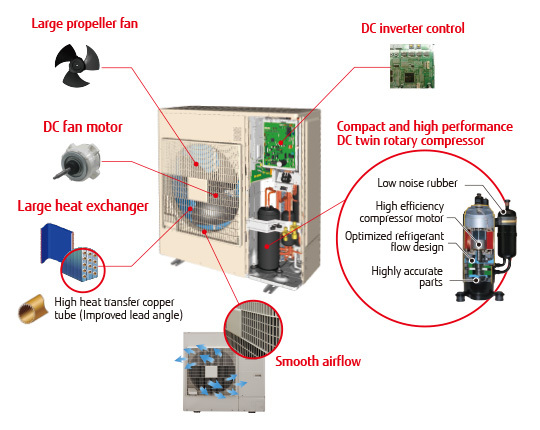 Economical individual air conditioning is realised by ALL-DC technology, large capacity DC twin rotary compressor, and 3-row heat exchanger though the size is compact. 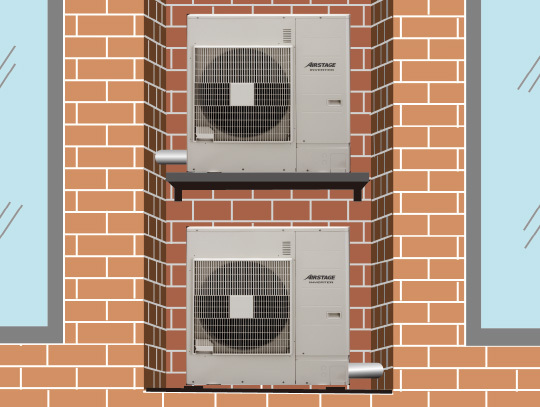 Due to compact size design and flexible piping design, J-IIS series can be installed easily at the place where the installation space is limited such as homes, shops, and small offices. 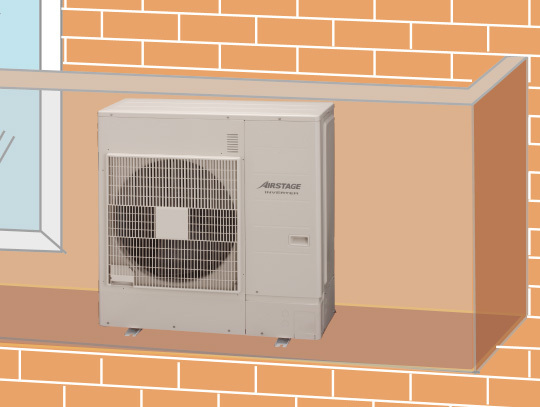 Multiple indoor units of various capacities and types can be connected. 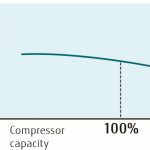 Heat exchange performance is substantially improved by mounting of 3-row large heat exchanger. This grille was aerodynamically designed for good efficiency with little blow loss. Efficiency in all load regions is good. 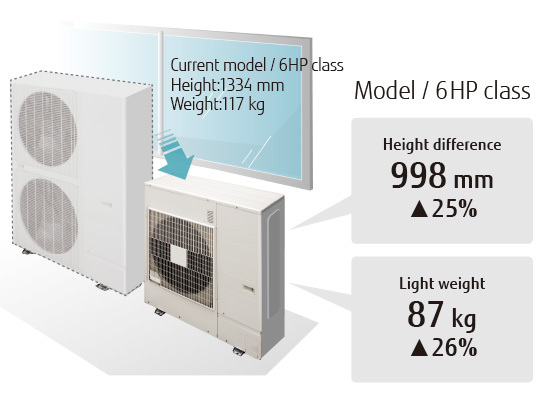 Especially good performance from low to medium at normal operation. 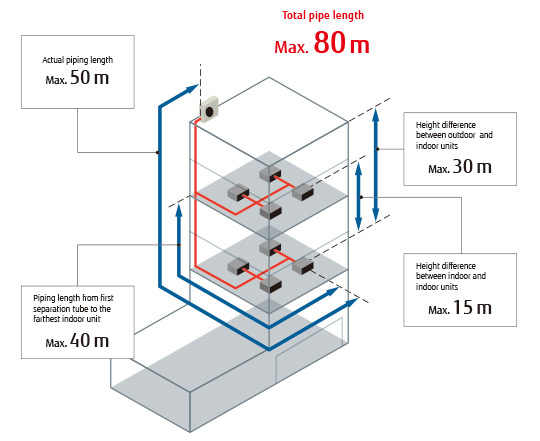 Our advanced refrigerant control technology allows us to achieve a total refrigerant piping length of 80 m. This opens up new possibilities in system design. 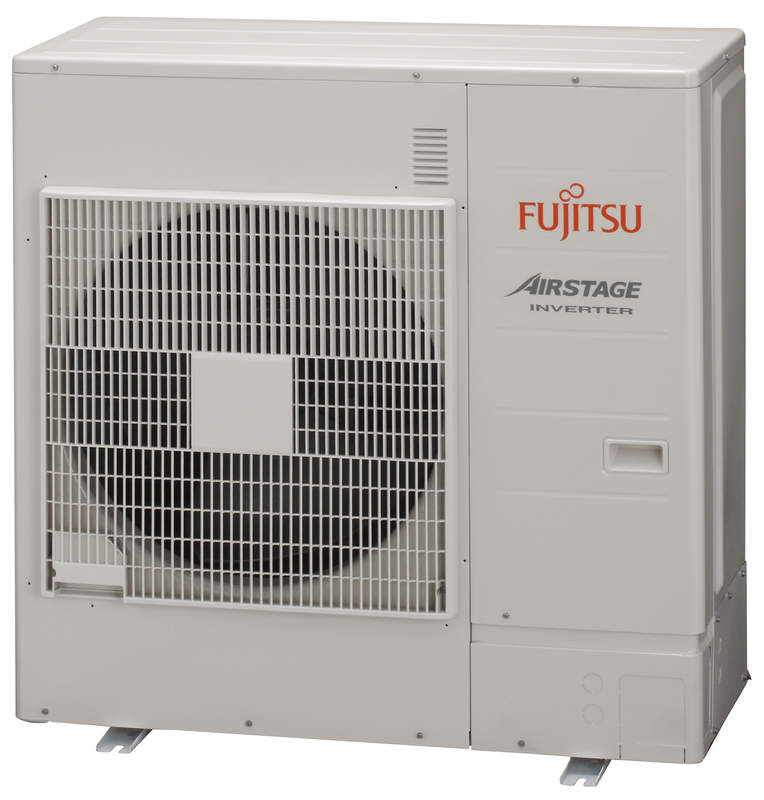 A comfortable room condition is maintained during oil recovery mode because the product continues to operate without stopping the cooling or heating operation. 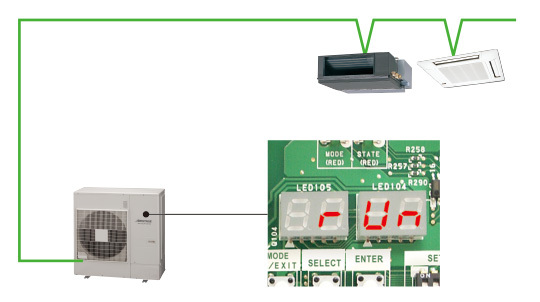 Possible to confirm whether wiring connection and address setting are correct by a quick check run function.